> LOGIN Follow us now! Let’s picture, for just a second, that moment of the day when free from all obligations we are about to take a seat in our favourite sofa, ready to indulge a long afternoon in company of our bedside book and one of our best-loved cigars. Before immersing completely into its flavours and aromas, first we need to proceed to one of the most important steps of this whole process: lighting the cigar. There are several methods which create subtle or pronounced differences in the tasting we are about experience; what kind of flame we use, the type of cut we make in the cap, or even, if we want to pair it with a drink which will enhance its flavour. Preferences aside, there is a physical element which occurs when the temperature of the flame comes into contact with the cigar. The heat does not distribute evenly between the foot and the head, creating a void were impurities from the flame accumulate. For this reason, if we cut the cap before lighting up, part of the smoke will end up in the centre of the body influencing negatively in is flavour, specially of the first third of the smoke. Instead, if we light the cigar without previously cutting it and we blow on the foot before inhaling, all the impurities which appear with the heat will be expelled. By doing this we will enjoy the first puffs much more. Although the smoke travels the full length of the cigar when we smoke it, this problem materialises in this stage due to the extreme heat which contrasts with the cigar’s which is at either room or humidor temperature. 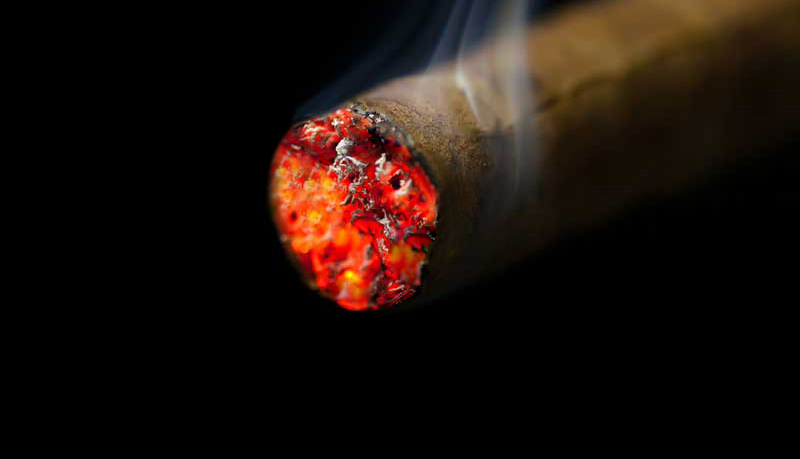 A similar effect occurs when we smoke the cigar too fast, as it overheats and creates a bitter taste which is unpleasant to the palate. It is important to bear these tips in mind, but as we always like to say in KOLUMBUS, in order to make this experience unforgettable, the important thing is to respect the characteristics of the cigar to fully enjoy its flavours and essence. © 2019 Kolumbus Ltd. All rights reserved.